Unilever Brands - Which Ones are Cruelty-Free or Sold in China? Unilever Brands – Which Ones are Cruelty-Free or Sold in China? No. Unilever is not a cruelty-free corporation because some of their ingredients are tested on animals. In addition, some of Unilever’s products are also tested on animals in China where animal testing is required by law for all imported cosmetics. However it should be noted that 11 of Unilever’s brands are PETA certified cruelty-free: Dermalogica, Murad, REN, Shea Moisture, Seventh Generation, Schmidt’s Naturals, St. Ives, Simple, and Nubian Heritage. And 3 of Unilever brands are Leaping Bunny certified cruelty-free: Dermalogica, Schmidt’s Naturals, and Seventh Generation. So although none of their finished products are tested on animals but the individual ingredients were. Also, Unilever may not be doing the testing themselves but their suppliers are testing their ingredients on animals on their behalf. Unilever also states in their animal testing policy that some of their products are tested on animals by governments as part of their “regulatory requirements.” This implies that Unilever is selling their products in countries that require animal testing by law, they’re most likely talking about mainland China. Again, Unilever may not be conducting these animal tests in their own labs but they’re paying and consenting other officials to test their products on animals. Therefore, I would not consider Unilever or any of their brands that are sold in Mainland China to be cruelty-free. It should be noted, throughout the years, Unilever has acquired 6 PETA certified cruelty-free brands: Dermalogica, Murad, REN, Shea Moisture, Seventh Generation, Schmidt’s Naturals, and Nubian Heritage. These 6 brands are not sold in China and are not required to be tested on animals. 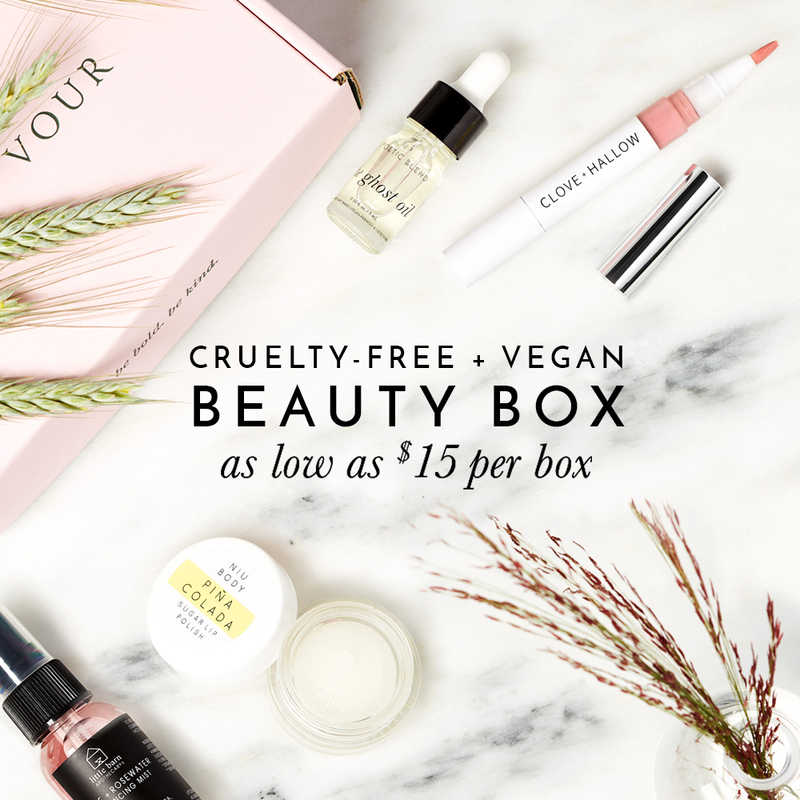 These 6 brands are in fact, certified cruelty-free by PETA. 3 of those brands are Leaping Bunny certified cruelty-free: Dermalogica, Schmidt’s Naturals, and Seventh Generation. When a corporation, as large as Unilever, has over 40+ brands in its portfolio, it’s sometimes hard to tell which brands are selling in China, or certified cruelty-free, or brands that naturally inherit their parent company’s animal testing policy. Please note that I’ve only listed brands that are available in the US, Canada, Australia, and the UK to keep this list condensed. No notes – It has not been confirmed whether this brand sells in China, buy or boycott at your own discretion. Coty Brands – Which Ones are Cruelty-Free or Sold in China? Revlon Brands – Which Ones are Cruelty-Free or Sold in China? Is GLAMGLOW Cruelty-Free? or Do They Test on Animals? Is Dr. Brandt Skincare Cruelty-Free? I think Unilever like many other companies that claim to be “Cruelty free” and do not test on animals are deceiving. Consumers really need to do their homework and contact these companies that claim these falsehoods ( i.e. Unilever) and start boycotting their products. There is NEVER, EVER a reason to test on animals. Absolutely sickening. HI, I’m currently in Argentina and would like to know how to know which Unilever products aren’t testing on animals so I can reduce the purchase of those. What should I look up to on their website?? I DON’T UNDERSTAND WHY PRODUCTS GET EXPERIMENTED ON ANIMALS AS CLEARLY THERE SKIN IS NOTHING LIKE HUMAN SKIN SO WHY DO PEOPLE AND THEIR COMPANIES DO THIS I’VE NEVER EVER UNDERSTOOD THIS!! SO WHY SHOULD ANIMALS HAVE TO SUFFER FOR PEOPLKRE!! I think it’s sad to hear that a multi million company still supports animal testing by using ingredients that are produced in China. How can profit be out before the well being and health of an animal which has got as much right to life pain free on this planet as us humans? Hi there, does not been tested on animanl mean they do not contain animal products as well? No, sadly “not tested on animals” doesn’t always mean it doesn’t contain any animal products! The term “Vegan” is often used to describe when something is both not tested on animals AND doesn’t contain any animal products. However, that is not how it’s ALWAYS used since there are no labeling laws that restrict how companies use these terms. I was looking at your list and it’s great you put the little images to decipher is they test or don’t etc however there are a lot of blanks is that because they don’t or you don’t know if they test? 3. Which of Unilever brands have been confirmed to selling in China where it is required by law to test on animals which are noted with China’s red and yellow flag next to the brand name. This list is primarily for people who choose not to purchase any brands that are owned by a parent company (like Unilever) that DOES test on animals. Most people are often surprised to learn that Unilever owns a few certified cruelty-free brands like REN, Murad, and Dermalogica and then will choose to no longer buy from these brands anymore.